With a number of wind and solar energy projects in the works, green jobs are growing rapidly in the United States. In fact, a recent report from Environmental Entrepreneurs shows that nearly 40,000 green jobs were created in the second quarter of 2013, a clear indicator that they would surpass the 110,000 green jobs added in 2012. In total there are more than 3.1 million green jobs in the United States today which help lower unemployment rates and improve economic outlook. Not surprisingly, the largest states offer the most jobs. According to the Economic Policy Institute (EPI), California leads the nation in green jobs accounting for more than 338,000 employment opportunities. New York and Texas lag closely behind with 248,000 and 289,000 respectively. And Pennsylvania is showing serious potential to be among the greenest states too. According to the PA Department of Labor’s latest green report in 2010, there were approximately 183,029 green jobs in Pennsylvania. The report also predicted green jobs in Pennsylvania to grow by 6.2 percent, providing more than 23,200 jobs by 2012. In March 2013, Pennsylvania’s unemployment rate dropped to 7.9 percent, causing the largest decrease the state has seen since 1983. Though no specific data confirms this drop is due to green energy, one can speculate that the growth of green jobs has contributed in some way. Since the state has a goal to generate 8 percent of its power from renewable energy resources by 2021, the number of green jobs seems likely to continue growing. There is no way to truly define a green job, as they can range across all fields and industries. 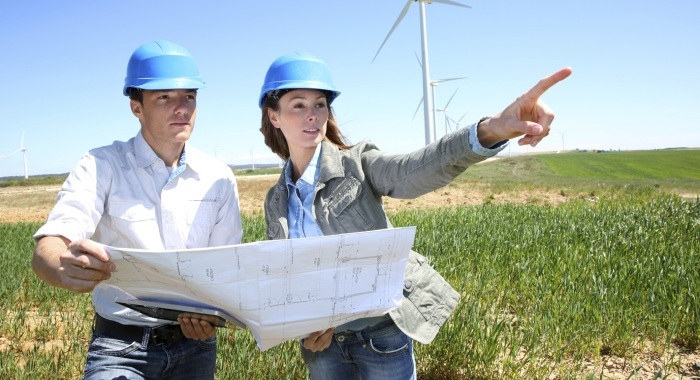 You can find green jobs in sales, construction, engineering, manufacturing – the list goes on. Regardless of what sector a green job falls into, most allow secure long-term employment. Plus, green jobs typically pay 10-20 percent more than other jobs, according to the White House Task Force on the Middle Class. But the thing that binds each green job is that they are all associated with environmental improvement. The Pew Clean Energy Action Plan of 2012 states that the global economy is at its clean energy tipping point, with renewable investments 600 percent higher than in 2004. In addition, the plan predicts the clean energy sector could generate $1.9 trillion in revenues between 2012 and 2018. In turn, that could equal abundant jobs in the green energy industry in the years to come. The U.S. government has also taken an interest in going green. The American Recovery and Reinvestment Act of 2009 provided $4.5 billion to convert federal buildings into energy-efficient, green structures. As the largest energy consumer in the world, the government could save 25 percent in energy costs and reduce the country’s carbon emissions considerably with these upgrades. Think about the number of government buildings across the nation. It’s going to take a lot of man power to transform them into energy-efficient buildings. In addition, the ARRA included $500 million for green training programs taught by the U.S. Department of Labor to help launch green job growth in the country. From Pennsylvania to Texas, thousands of Americans are getting the training they need to be successful in the green industry.